“Krassi” Mayonnaise is the indisputable leader in My Love Marks ranking and one of the brands which have won the biggest consumer vote. The favorite mayonnaise of Bulgaria has even reached the finale of the contest in the category “Bulgarian brand foods and beverages”. This is yet another high praise for the brand in My Love Marks ranking. Four successive years the consumers assign the leading position to “Krassi” Mayonnaise as best mayonnaise. 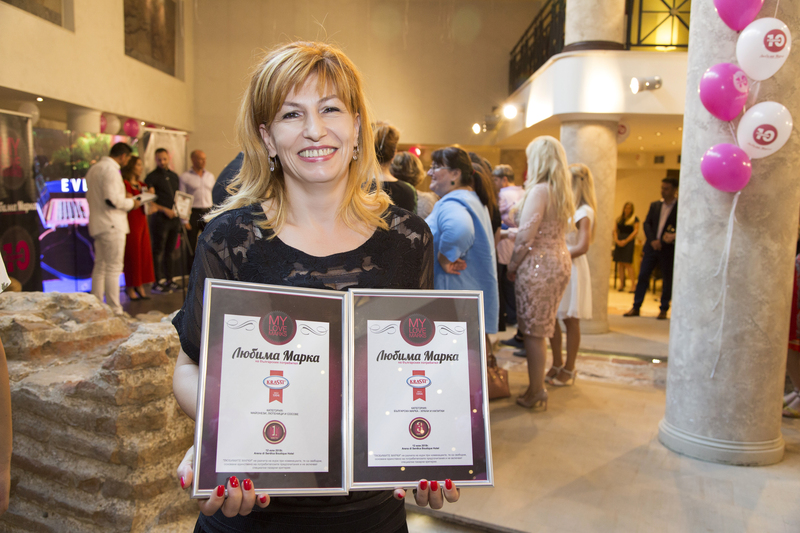 “Krassi” Mayonnaise is the most sold product in its segment on the Bulgarian market and has won many awards over the years such as Superbrands, gold medals from the Plovdiv Fair, Company of the Year prize etc. More than 42,000 people supported their favourite brands in the anniversary tenth edition of the 2018 My Love Marks ranking. The initiative gives expression of the consumer preferences for particular brands in various industries. It shows not only the preferences, but a true emotional attachment to particular brands that we would miss if they disappear. Our favorite brands are elected only by a ballot by the end users. Unlike other rankings, “My Love Marks” does not rely on the jury during nominations – they are free, based solely on consumers’ preferences and do not include special market criteria. Thus “My Love Marks” presents not the expert opinion, but consumers’ opinion on the branding.